We completed these bush regeneration and wetland regeneration works over Summer for our client – Sydney Airport,. 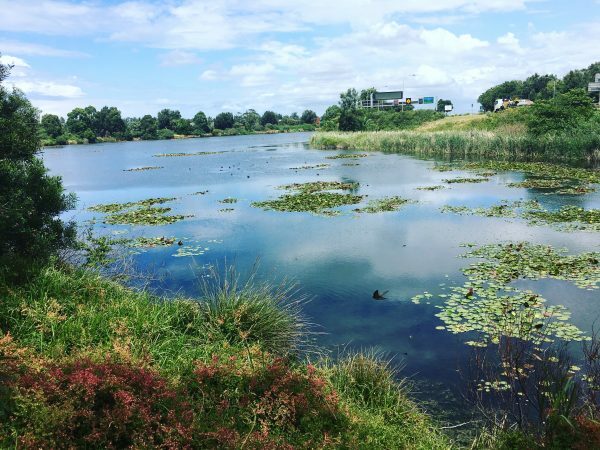 This is an exciting project as Sydney Airport’s vision is to rehabilitate the riparian habitat around two wetland ponds, as well as making it a restored natural area for the public. Birds pose a flight risk for the client, so it will be interesting restoring this area in a way that creates a healthy wetland habitat that doesn’t encourage the bird population to increase. Dense stands of Cestrum parqui (Green Cestrum), Lantana camara, Chrysanthemoides monilifera subsp. rotundata (Bitou Bush), Ludwigia peruviana (Water Primrose) and exotic climbers dominated the perimeter of these two wetlands. We undertook treatment of these weeds in staged sections. Stay tuned for further updates on our Facebook or Instagram.